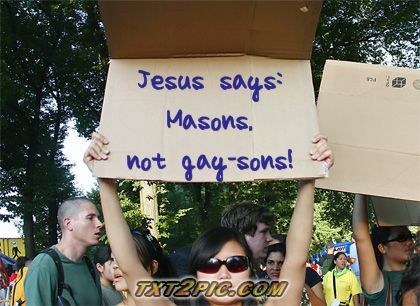 Home > Freemasonry, freemasons, Gay-sons, GL-SNE, Masonry in Media, Masons, News Items, Religion	> Masons, not Gay-sons! 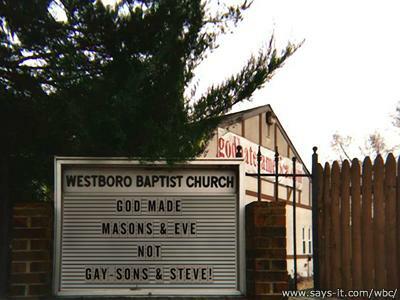 This is absolute nonsense , obviously you’re not genuine Freemasons . What does “genuine Freemason” mean? W.B. Moss, it’s a satirical piece. All I can say is that when you’re a Freemason, and a southern Baptist church is supporting your cause, that should be the first indication that you are on the wrong side of the argument. The GM’s decision in Georgia is as stupid and disruptive as that of the GM in Australia defining what is and what is not an acceptable religion. What has happened is some GMs are slowly bringing politics into the Craft. Australia? I thought that was Florida a couple of years ago? Maybe so, but Australia for sure…..
I’ll have to check on that. There was a similar issue in Florida in 2013. Its a shame that the commpass sits above a sine curve rathrer than a square.